Oral devices are acknowledged by experts to be among the most effective treatments for snoring and sleep apnoea. We use devices from leading snore guard providers, Somnowell, which has developed a comfortable and effective lifetime solution. If you suffer from snoring, sleep apnoea, TMJ, or bruxism (tooth grinding or clenching), the Somnowell range could be the answer. The Somnowell is the culmination of over 15 years research and development and is the most slim-line and hygienic device available making it widely regarded as the Rolls Royce of snore guards. Having been a long-term, often loud, snorer for some 50 years, I felt this had gone on for long enough and sought advice! Not least due to daytime sleepiness, albeit not affecting my driving. On referral to a sleep specialist, I was told that CPAP would be needed, and until undergoing this gold standard therapy, I should not drive. Although the hospital oximeter readings, over 2 nights, did not suggest very many drops in blood saturation (a bit over 5 per hour on average), that was attributed to good general health and the diagnosis of mild apnoea mainly supported by my reported daytime sleepiness. Although the CPAP machine was generally successful in that I was waking up feeling much more rested and then not being sleepy during the day, the AHI figures were only reducing slowly over about 3 months, roughly from 11 to 7. The sleep clinic wanted me down to 6 or less. More important to me was the sheer inconvenience of the contraption. It may be the gold standard therapy system but it is not the gold standard in being user-friendly. Even with the nose-based air pressure rather than the full face mask, I found it uncomfortable, difficult to turn over at night and disturbing to imagine being on a sort of artificial respiration for life. This last point may be a question of cultivating a better attitude. It is also a difficulty using the cumbersome machine on holiday. The sleep clinic was distant from my home and too busy to provide much support. In my case, internet research showed that jaw shape, i.e. not a jutting out jaw, can make the Somnowell device appropriate, especially if one only has mild apnoea. My dentist happened to specialise in fitting these bespoke devices, he gave it as his view that a Somnowell would suit me, I had the impressions taken and it was duly fitted at a cost of £1,400. By moving the jaw forward by 0.5 centimeters, the airway is opened up to allow effective night-time breathing. That was the plan and that was the result. So far, after several months, I do not think there is any sign of an adverse mandibular effect. As for the longer term, I am relaxed because my teeth are kept well-maintained and my dentist believes that the device should last “for years and years”. I find using a toothbrush daily, putting the Somnowell in the dishwasher weekly and in the recommended mouthwash (for 2 hours) fortnightly keeps it in pristine condition. Nowadays, I use it 6 nights a week, do not find it intrusive any more, snore only slightly, awake feeling rested and have seen a sleep specialist who has endorsed all this and said there is no need to contact DVLA or mention anything to my insurance company. This is simply because there is no problem, as also confirmed by two things. First my Epworth score has reduced from about 11 to 3. Second, my own oximeter readings now average about 1 dip per hour, which happens to be a better result than applied to the readings with CPAP. But since there were not a large number of CPAP readings, it may or may not be statistically valid to say that the Somnowell performs better than CPAP. CONCLUSION. Although I cannot speak with the authority of a doctor, it seems to me that anyone with mild sleep apnoea and breathing restricted by jaw shape should seriously consider the Somnowell device – it has worked for me at any rate. 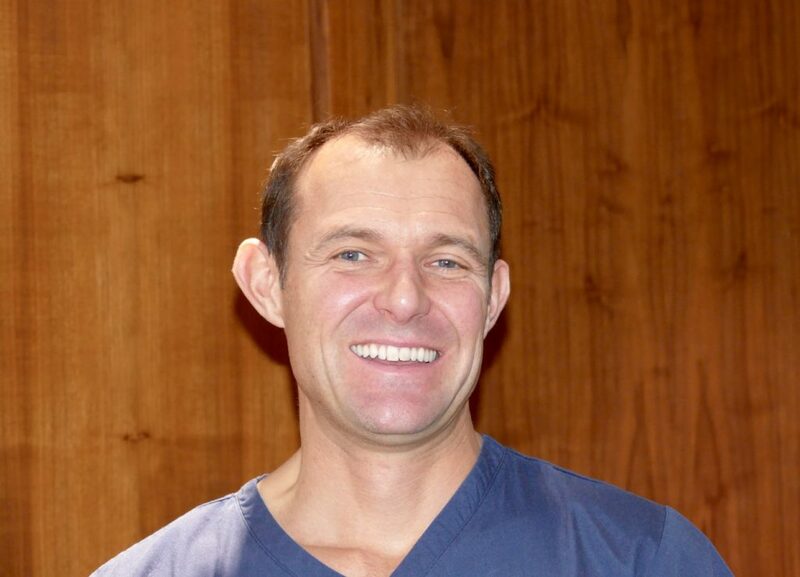 James qualified from Guy’s Hospital in London in 1998 and has worked in Dorset as a dentist since then, joining 740 Dental as a partner in 2008. James strongly believes in preventative dentistry for all generations and enjoys using modern but proven techniques and materials to provide a wide range of treatments in a relaxed environment. James has enjoyed an active postgraduate record completing a three-year Diploma in Restorative Dental Practice at the Eastman Dental Institute and implant training alongside Professor Chanavas of Lille University. This has led to a particular interest in providing the highest quality of care in restorative and implant dentistry. Other aspects of dentistry James also enjoys providing are cosmetically-based orthodontic treatment and he is also the busiest dentist on the south coast providing the Somnowell anti-snoring appliance. During his spare time he enjoys spending time with his family – he has two children and is married to Catherine a local GP. He particularly enjoys sailing and keeping fit on the squash court. To achieve a satisfying and peaceful sleep, please contact us to arrange a FREE consultation.